Stephen Daly, a Leaving Cert student at Coláiste Iósaef in Kilmallock, is back at school after an amazing adventure. 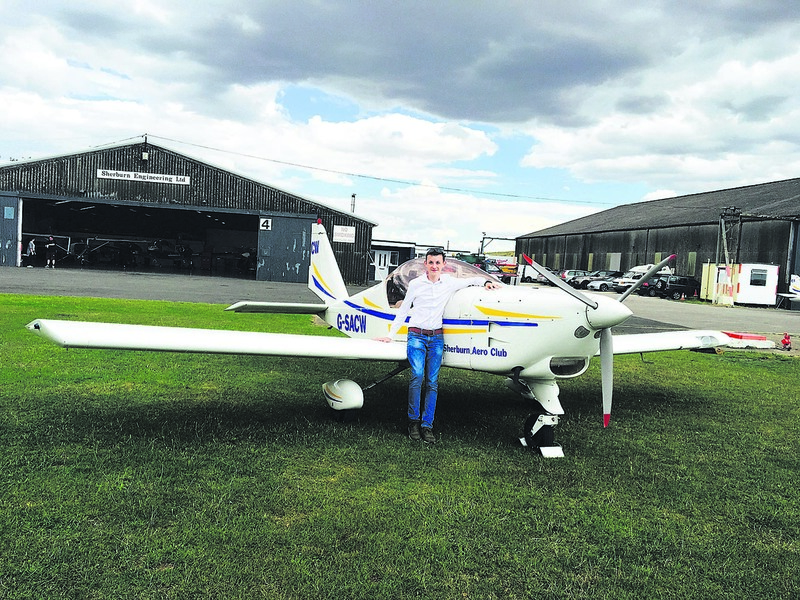 Stephen, son of Mary and Connie Daly, has always dreamt of becoming a pilot, and his dream came true this summer when he obtained a private pilot’s licence with the Sherburn Aero Club, West Yorkshire, in England. During Transition Year at Coláiste Iósaef, Stephen enrolled on a work experience programme with GE Capital Aviation Services at Shannon, and from his experience there this passion for flying grew. Further work experience opportunities were facilitated in other companies, and Stephen was granted a residential gliding scholarship in London during the summer of 2017. Soloing at 16 re-affirmed his intention to become a pilot, and Stephen decided to apply to the Honourable Company of Air Pilots for a PPL scholarship last year. 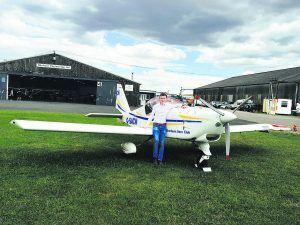 This application was successful, and Stephen spent a memorable summer in Sherburn Aero Club, fulfilling his dream with lessons, training events and flying adventures before achieving the ultimate prize, a private pilot’s licence. Despite spending the previous three months with his head in the clouds, literally, Stephen will remain very grounded in the coming months as he prepares for his Leaving Cert at Coláiste Iósaef. He hopes to study Aeronautical Engineering atUniversity of Limerick and is keen on cadetship programmes and air traffic control.